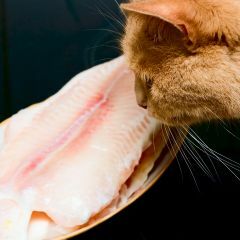 You can follow meat and fish tips using vinegar to make your cooking easy, budget friendly, and successful. Are you prepared for an emergency or disaster? Know shortcuts for meals, emergency food storage, what to eat when the grocery stores are closed. Click on accentshade.com and then don't forget to come back here for vinegar tips! Use vinegar as a meat tenderizer, as it breaks down meat fibers. Add a tablespoon of white vinegar to water when cooking inexpensive meat for stews. You can also soak meat in vinegar overnight. Tough meat will be tender enough to cut with a fork! You can improve the flavor of game (venison, rabbit, etc) by soaking it for several hours before cooking. Use a mixture of half water and half vinegar. Scaling a fish is easier if vinegar is rubbed on the scales. Wait five minutes before scaling the fish. The acid in vinegar can tenderize the muscle fiber in lobster, oysters, salmon, and other. Soak them in vinegar for at least several hours, even overnight. You can bring out the flavor of fish by adding a few drops of white vinegar to it. Even if the marinade is made with vinegar (acid-based), you still need to marinate fish in the refrigerator. Otherwise bacteria can grow on the fish. And when you are finished, throw out the marinade! Never baste already-cooked food with marinade you used on raw fish.